How to do Makeup for Valentine's Day? Our Beauty Tutorial with steps. 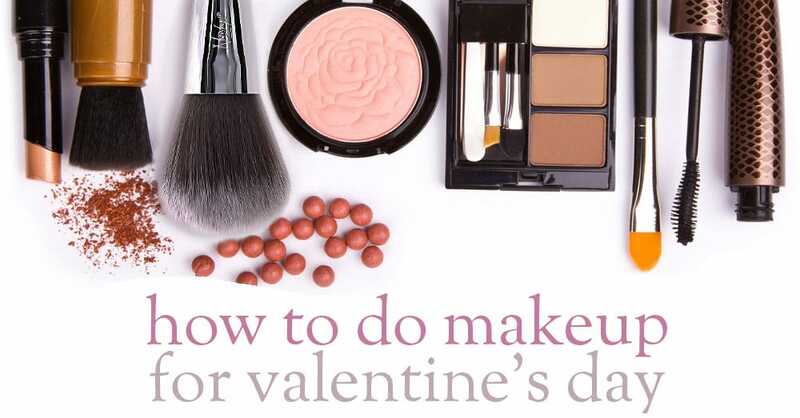 One of the questions that get asked frequently around this time of year is: ‘how should I do my makeup for valentine’s day?’ So I thought I would put together a guide to answer that exact question! Valentine’s day is a day to be celebrated, whether you’re out with your partner for the night, in or out with the girls, or spending time with your family. We get few chances over the year to really dress up, so I say grab it with both hands and have fun with your look this Valentine. 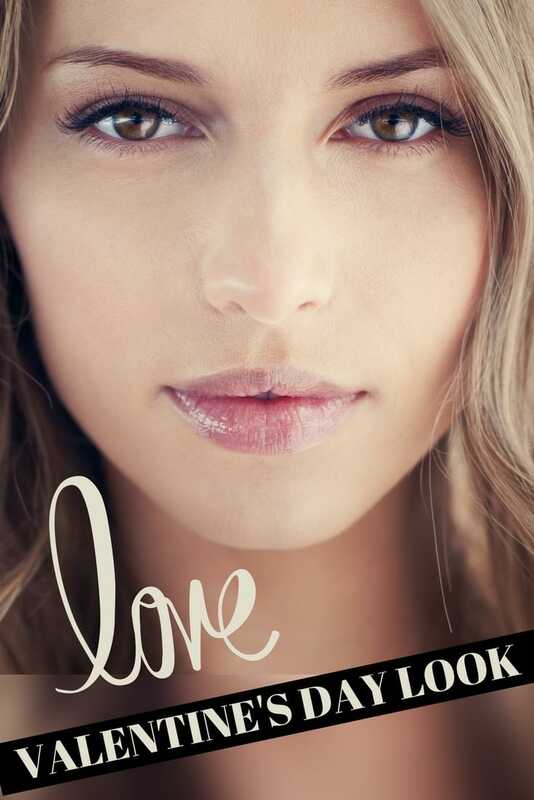 This Valentine’s all about going for a soft and feminine look, that’s really pretty and subtly striking. Past years a more vampy look has been favoured for the evening, with thick false lashes and a Hollywood glam red lip, but this year opting for a softer more girly look is ideal for the occasion. Think pastel pinks, soft bronzes and golds, as well as taupes and soft shimmer. Thick feminine soft lashes are ideal, as well as subtle contouring with pink flushed cheeks. Prep your skin by applying primer to your face and neck after you’ve cleansed and moisturised. Top tip: Apply a little more where your pores are larger. Click to tweet! Pat on concealer under your eyes, in the corners of your nose and on any blemishes, this look is all about clear and dewy skin. Using a powder brush lightly brush powder over your face, applying only a little so as not to completely mattify your skin. Top tip: Tap your brush on your forearm to remove excess powder before applying. Click to tweet! Next lightly contour your face using your mid-tone bronzer. Apply with a contour brush to the hollows of your cheeks, under your chin, down the sides of your nose and across your forehead. Then apply a little blush to the apples of your cheeks. Move onto your eyes. Take an eyebrow brush and comb your brows up and then brush into place. Pat on a little Vaseline to keep in place. Take your eyeshadow brush and dip it into your gold shadow, sweep it across your lid and work into the inner corner of your eyes. Next, apply the taupe shadow to the crease of your eye and underneath the eye along the lower lash line until around the middle of the eye. Join the up the crease with the lower lash line by creating a slight winged effect, bringing the shadow together on the outer corner of the eye. Top tip: Use a highlighter on your brow bone to create a wide-eyed look. Click to tweet! Curl your lashes and sweep over your mascara on the top and bottom lashes. Next, apply your lashes, cut them down a little if they are too big so they fit your eyes. Apply the glue to the lashes and leave it 20 seconds to go tacky, then carefully apply to your lash line. Add a sweep of mascara to blend with your natural lashes when they are glued in place. Apply your lipstick, blot and repeat three times, then pat on a little Vaseline. Top tip: Buff dry skin off your lips using an old toothbrush before applying lipstick. Click to tweet! Soft curls or waves are ideal for this look, as well as a half up does. Finish off with a spritz of hairspray to keep your look in place for the night ahead. I hope you’ve found this guide helpful and it’s inspired you for valentines this year. If you give the look a go don’t forget to share your photos!